This book is a must have for anyone desiring to know the truth about African-American feelings about life, politics, economics, religion and relationships. Lucius Gantt is a world class writer, once employed by The Associated Press, The Washington Post, The Atlanta Journal and National Public Radio. 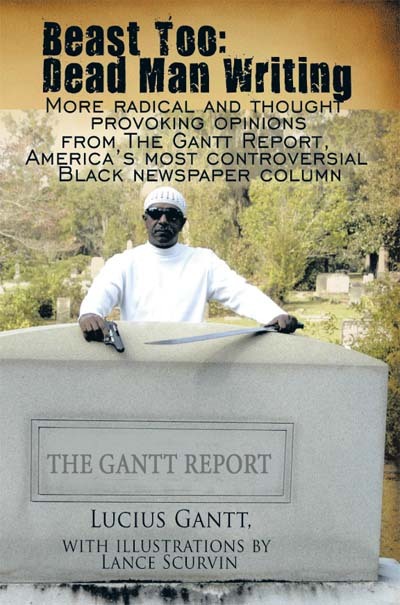 His column The Gantt Report appears in America’s major Black-owned newspapers and information internet web sites. Joseph L. Webster, Sr. MD, President, Institute for African American Health, Inc. Says, “The Gantt Report, like its founder, has been a breath of fresh air for the community – especially the Black Community. “Truth” has been so distorted by the mainstream media that an entire world of “clones” move about daily in a fantasy land in which they are the puppets of big money. Previous : Why We Must Possess An Appreciation For What We DO Have! Next : In This Life The Perfect Wind Hardly Ever Comes Until You Realize How To Master The Winds That DO Come Your Way!